Get Boxus here. It's a free creative agency website template based on HTML5 and CSS3. The template is responsive, as well. 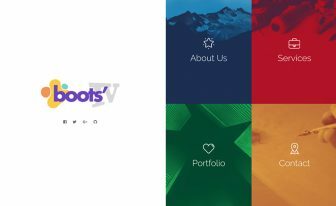 Let’s get to know about the creative agency website template, Boxus. First of all, it has a fantastic structure to attract users’ attention. Second, it will assist your site to appear awesomely on different screens. 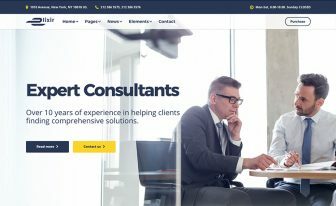 Third, this is one of the best digital agency website templates which applies to various niches: advertisement company, creative agency, design studio, personal and portfolio website. 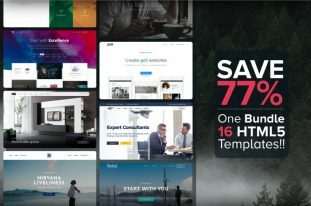 Moreover, if you can utilize the 10 unique sections, 2 single portfolio styles, and other impressive options – a modern website creation is just a matter of time. These are the well-organized, beautifully designed, and core parts of this free HTML5 template: home, services, portfolio, about, news, video, skills, and contact. Show your works in the portfolio gallery to earn trust from the new users. 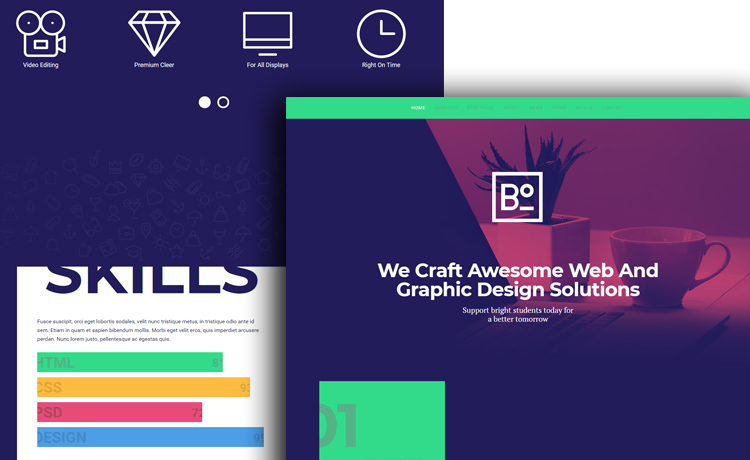 Of course, the vivid colors and engaging typography are two mentionable features of Boxus, the free website template. Also, it carries a PHP file for contact form validation, which is a considerable benefit. Above all, the unique boxed layout style will help you stand out from the typical design standard. As you can add video to the respective section, so you can insert team details with a compelling slider. Finally, Boxus will not leave you out there without any guidance. It’s required that you have the basic knowledge of HTML, CSS, and jQuery. Then, the help is on your way via the documentation file it provides to understand different parts of it. Describing several CSS classes, explaining how to configure the sliders and mail as well as other relevant information available. You’re longing for an appropriate solution to build awesome websites. Our incredibly designed premium HTML5 templates will take you there. 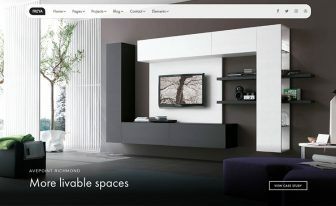 Check out Freya; it’s made for the interior and architectural design firms. 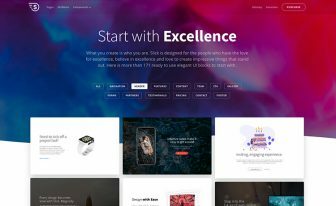 Another marvelous product is Posh which has the multipurpose capability to create many websites using the layouts it provided readily. Note: Images for demo purposes only. I own a software firm. My employees are happy with it. Hello,thank you for the theme.In the contact page,i add an column for checkbox options,can you help me how to get the value using JQuery? I am afraid you are talking about project specific customization. We do not provide any project specific customization. Thank you. I like your template, and I used and modified. Unfortunately, now I need to put it in WordPress… but Is not possible. I saw some people resells your free template when is in wordpress, but is free in html. Have you the template in wordpress, or must I change my template by other? We do not transform html templates into WordPress sites. How to get these temp-let’s i can’t able to download them. Go to the template page and there is a “Get Download Link” button on right-top of the page, enter your email address and click that button. Template will be sent to your email inbox. Yes you can use without paying. is it possible to show the hash id in the url when I click on the menu and when I scroll(ex: index.html#home, index.html#services, index.html#portfolio…)? There is no link to download, then how can i download? Hello, if you don’t have Twitter access, ask for the template. We can give you it in an alternative way. You don’t need to be crazy. Thank you. I just checked in the code and there is the anchor to portfolio. It is working correctly with Google Chrome but the bug is with Firefox. My version of FF is 60.0b6 (64 bits). The bug of bar menu still on Chrome and Firefox too. Thank you for this great and beautiful template ! I have 2 little bugs to report: One on menu bar and other one in single portfolio. – The menu bar have a original color but if we scroll in the website and come back to the top, the menu bar do not come back to the original color but still with the color of id=services, the first chapter. – When we close the pages single portfolio with the button, we come back at top of page index. Does there is not a possibility to send back at the anchor #portfolio and people do not have to scroll down again to come back at portfolio section? Hello friend, thanks for your great insight on the template’s code structure. You know what. It’s a free template from the third party. When we add a template like this we try to make sure the quality of the product is very high. But for little bugs, we don’t give a clear attention. Still, they surely add value to our readers, we believe. So? do you think to let the template with these bugs?